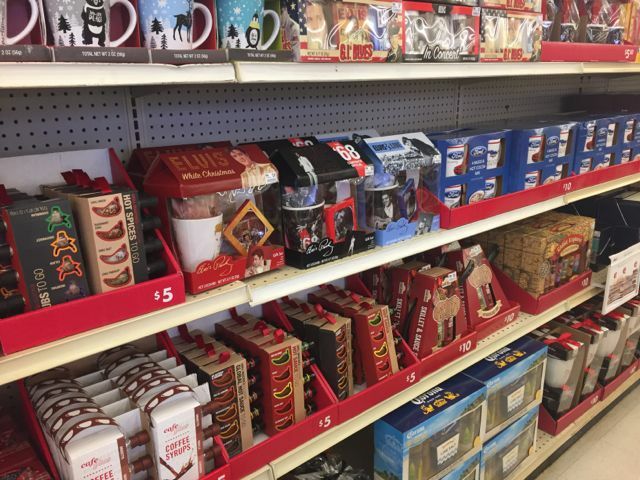 If you have never been to a Big Lots store, you will be surprised they have everything you need to prepare for the holiday gifting season! 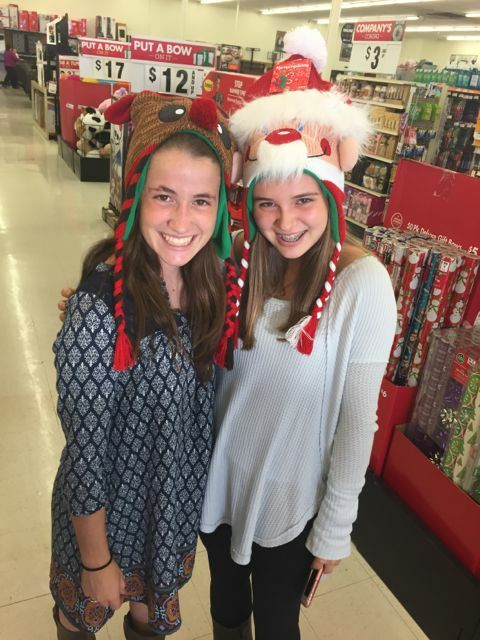 Taking two 15 year-olds on a shopping spree was both a mistake and a treat. Our goal was to find great gifts for my cookie exchange and maybe a few Christmas gifts for their friends as well. The first aisle I found was the cookie supplies. These make obvious gifts for my cookie exchange guests. Once you bring home five dozen cookies you need to package them up for friends, well unless you choose to eat them all. 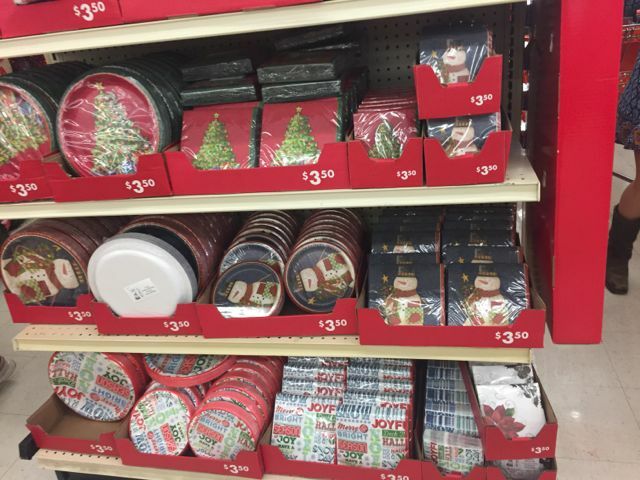 Then I happened upon holiday paper products too. These will be great for serving food at my party, but cocktail napkins are always great hostess gifts to have on hand. Grab a few extra packs! Can you tell I got quite distracted on this trip? 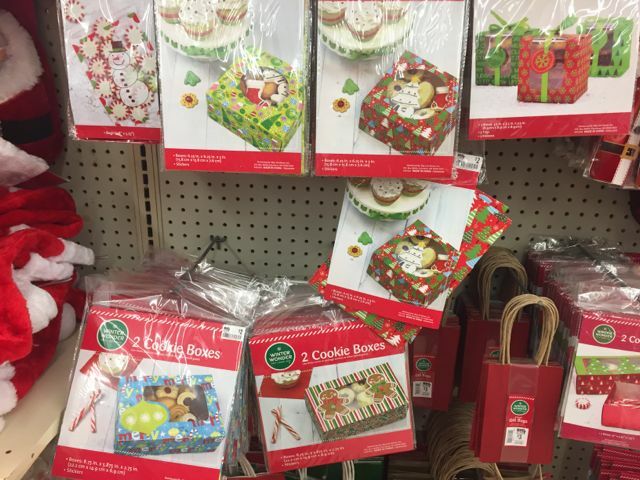 Big Lots has tons of food gifts as well. Check out this long aisle of great food gifts for just about anyone from teachers to neighbors that are on your Christmas present list. 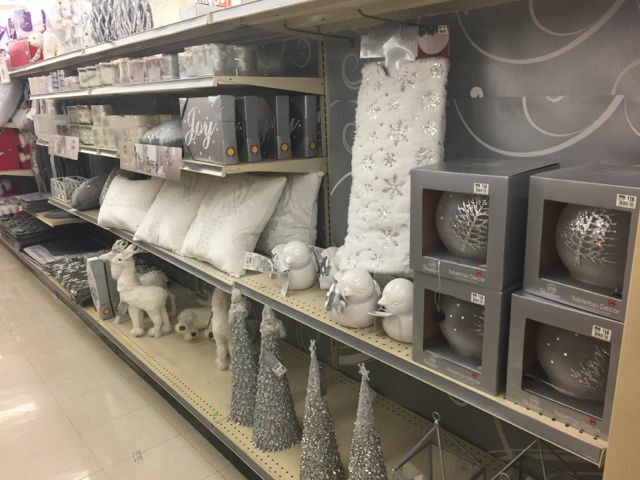 What I did not realize about Big Lots is that Holiday decor items are so ascetically placed. Look at this gorgeous silver and white aisle. I found some great candles for prizes under $5 here. 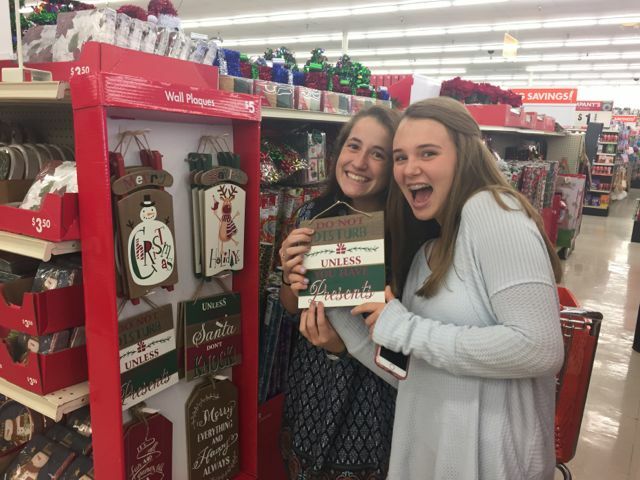 The girls found some great Christmas gift ideas for each other too. Shop Big Lots to check more off of your list and get great quality, name brands, and trend-right items, all at a great value. 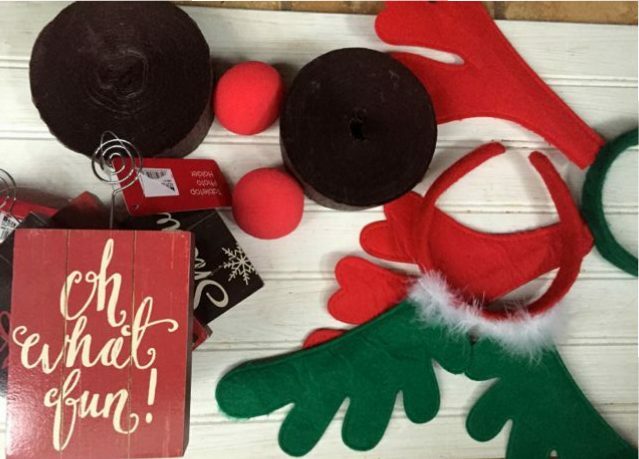 Check out my stash of gifts to have on hand for holiday parties as well as to gather in a basket for my holiday games and best cookie prizes. After almost 45 minutes going down the aisles at Big Lots, here is the stash of great prizes and gifts I will have at my cookie exchange this year. 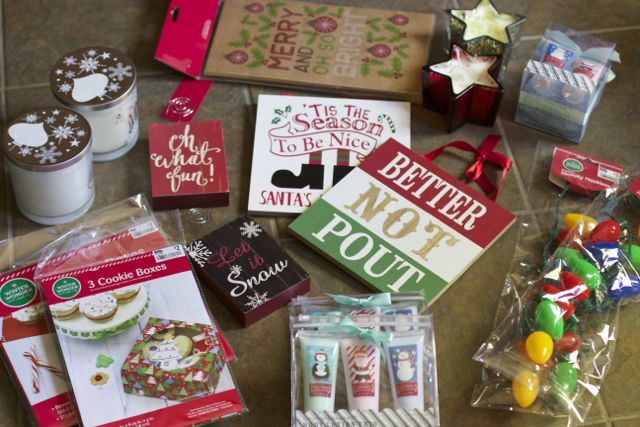 From adorable signs to holiday lotions, the ladies better get baking and put on their holiday party hats!! 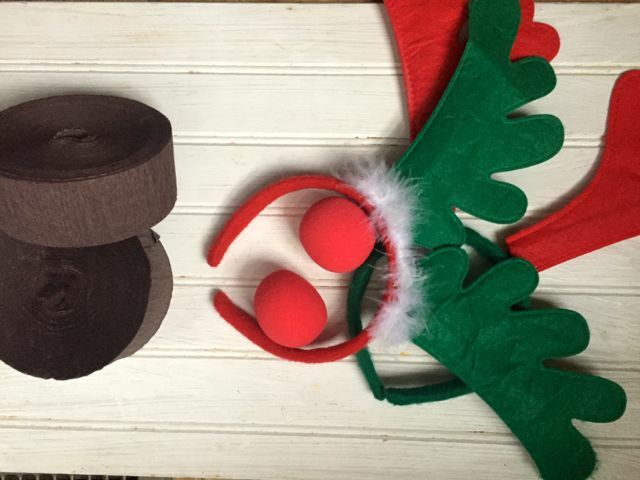 Before you host any parties this year, be sure to check out our holiday party games. One new holiday party game we are doing this year is the REINDEER DRESS UP Game. Have one person on each team agree to be the Reindeer. The other team members race to dress the player to look like a reindeer in a designated time frame. These great Big Lots Prizes will be awarded to the best looking reindeer. These picture frames are perfect for our teams of 4. I will add pictures of our reindeer after our cookie exchange this weekend. Hosting a cookie exchange party with people who may not know each other very well? 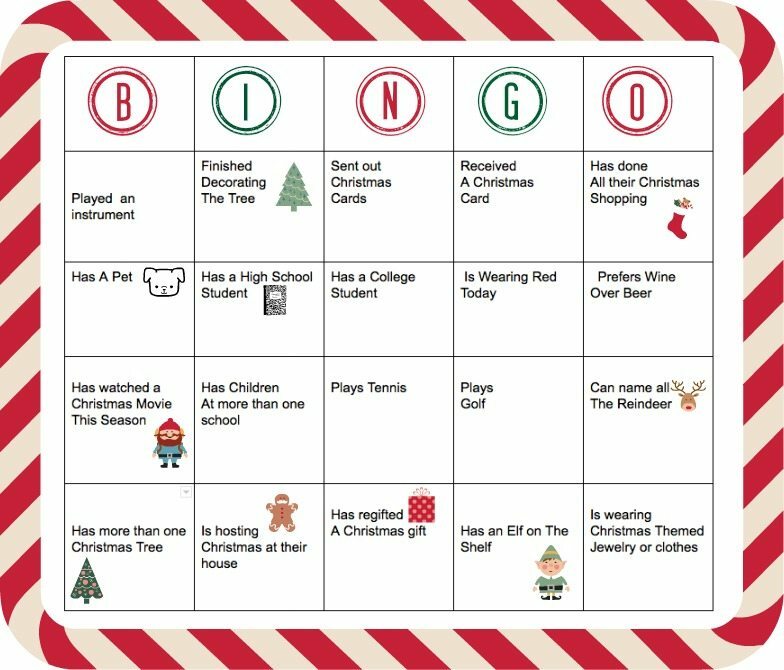 Download our Christmas people bingo game to break the ice. The first person to fill in the card, wins a prize. So fill your basket and get the games started. 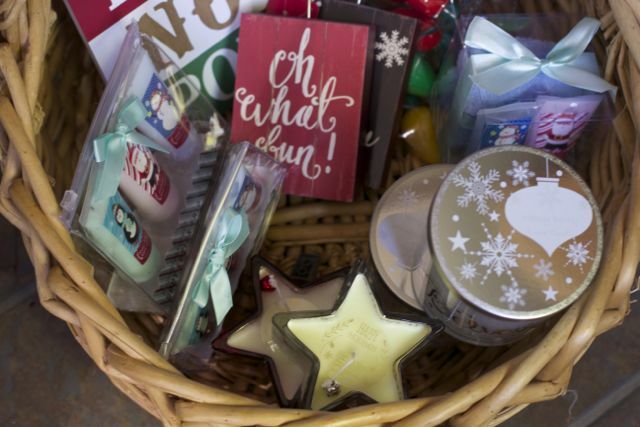 Which of these gifts would you like to win at our cookie exchange party? Maybe we should have a virtual one next year! I don’t live near a Target anymore, but The Dollar Store has got some really great gift suggestions, surprisingly! I found all sorts of cute mugs and accessories at The Dollar Store! Oops! That was supposed to say, I don’t recall ever going to a cookie exchange party. Please amend my comment. Oooo how fun!!!!! When I lived in FL one of my besties hosted a cookie party!!! It was always something I looked forward to! I used to love Big Lots when we lived in the states! They always had awesome items for wonderful prices. I love cheap Christmas presents. Sounds like fun! I think my daughter would like this. I’ll share this post with her. I did a cookie exchange with friends a few years ago . It was such a great time. Im so glad you had fun! I’ve never been to a cookie party in someone’s home. We had one at work once and it was fun. There is a store not far from me that sounds a lot like Big Lots–it might even be (my memory is not what it used to be) It is where my Mom and I always go for plastic dinnerware for parties-they have a beautiful selection and the price is right. We have browsed in there a lot–there is very little they don’t have!